You are given nine months to truly appreciate the miracle of life! Being pregnant is nine months of emotions- excitement, nervousness and just true happiness once you finally get to meet your newborn baby. Maternity photography captures the period of time while a woman is pregnant. To some, the idea of maternity images is as exciting as the idea of having the baby itself as to while you are captivated by the glow and radiance of being pregnant. For others, it is a questionable one as your body has transformed to a place you might not have imagined it ever going. However you may feel, you will want to remember this time through beautiful portraits. And while it may be your first or your third pregnancy, each will deliver you an experience that is unique and deserves to be captured. you are welcome to bring your own clothing. When is the best time in my pregnancy to be photographed? You will want to schedule a time between 32 and 36 weeks when you are showing enough of a full belly but not uncomfortable. Scheduling in the early weeks ensures that you will have a bit more mobility for poses. Sessions include partners and any children (the two or four legged variety), as this is an exciting time for your entire family. Connie will capture both individual and family images to tell your entire story. 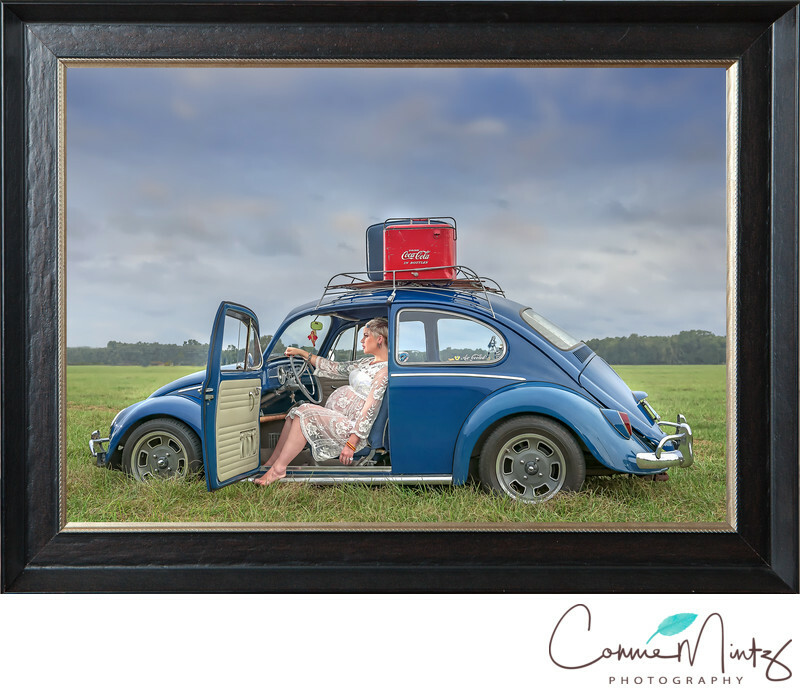 Connie Mintz Photography is conveniently located west of the I-5 freeway in Vancouver, WA, serving Portland, Oregon, Southwest Washington and surrounding areas. Hair and makeup is available as an add on. We can arrange for hair and makeup prior to the session. It will pull together your look as much as selecting the perfect outfit. Plus, you deserve to be pampered! We have a selection of outfits, fabrics and accessories that we can use to style your session but it is always a great idea to bring a few of your favourite, dresses and outfits along. Once you have booked your session we will send you a guide on what to being to your session. Is it possible for my partner and other children to be included in the session? Of course! having a new baby is an exciting time for everyone in the family and we would love to document that for you. When will we see the images that are taken? We will schedule a view and order appointment roughly one week after your session if you would like to purchase separately or you could bundle with the newborn view and order.